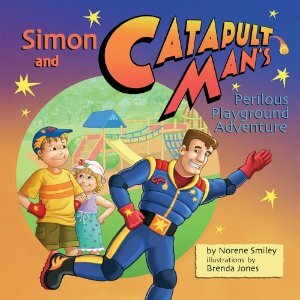 Simon and his toy sidekick, Catapult Man, head off for a morning of perilous playing in the playground. Simon has to save his sidekick more than once. This picture book was written by Norene Smiley who lives in Pugwash, N.S. and illustrated by Brenda Jones, a native of Prince Edward Island. Published by Nimbus Publishing, Halifax. N.S.